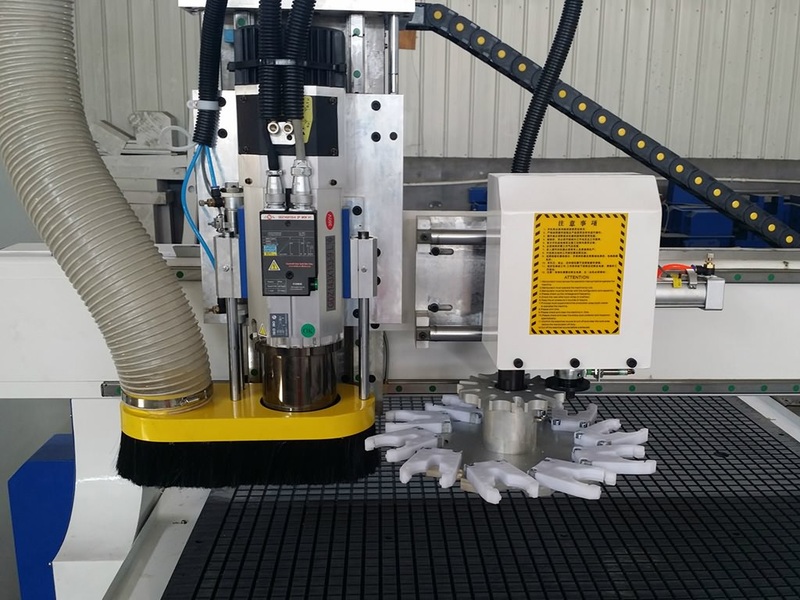 The best ATC CNC router adopts automatic tool changer spindle with tool magazine of 10 cutters, the tools can automatically change to fit different works according to the requirements. 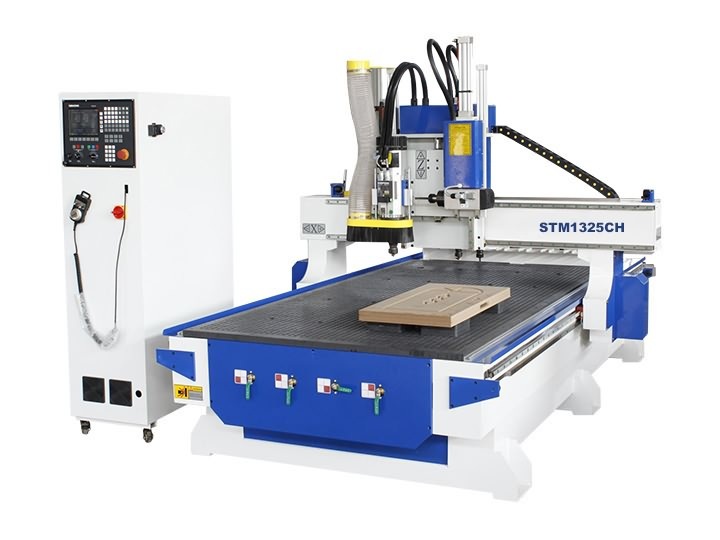 The CNC router ATC is mainly used for 2D/3D works of woodworking, cabinet making, door making, mold making, wood arts, wood crafts. 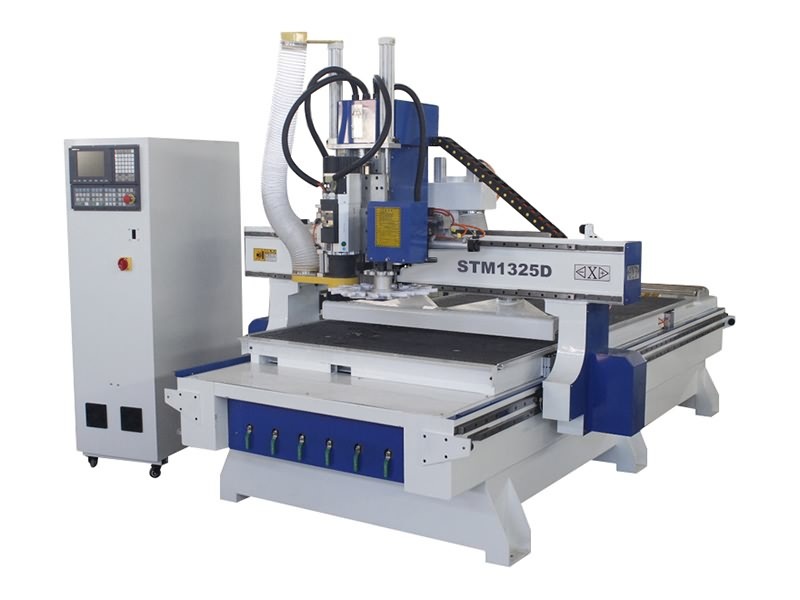 Now the best ATC CNC router for sale with ex-factory price. ATC is refer to Automatic Tool Changer. 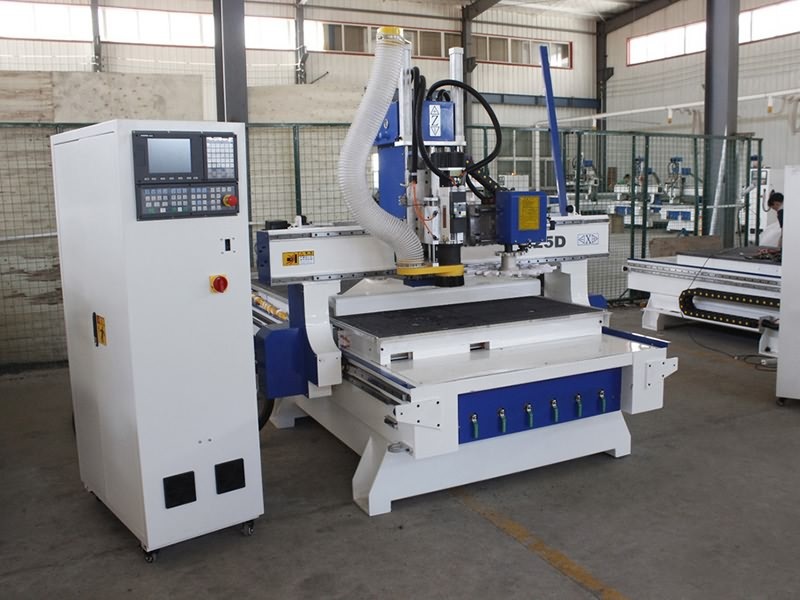 ATC CNC router is a type of CNC router machine with automatic tool changer spindle, the spindle usually carries tools magazine of 6 cutters or 8 cutters or 10 cutters or 12 cutters. 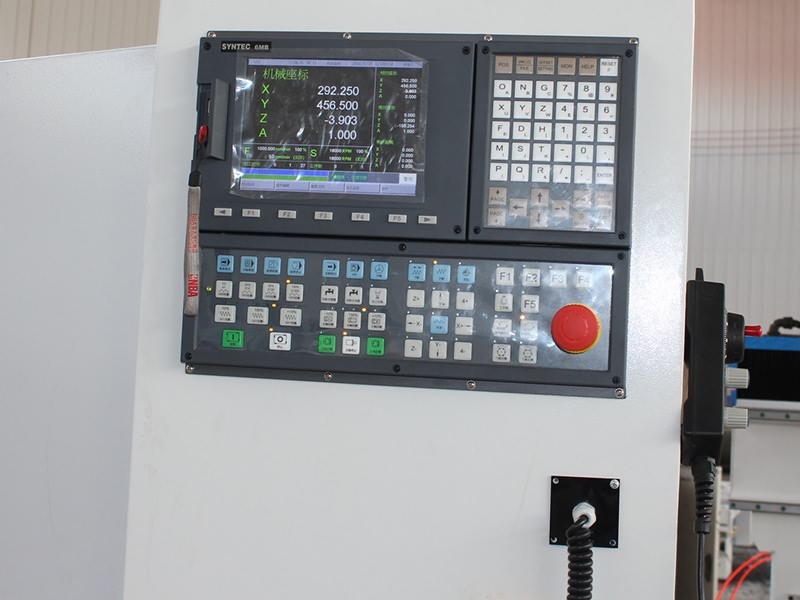 The CNC router tools can automatically change according to the working requirements when the CNC router ATC works, no need of manual operation, which will improve the working efficiency greatly. 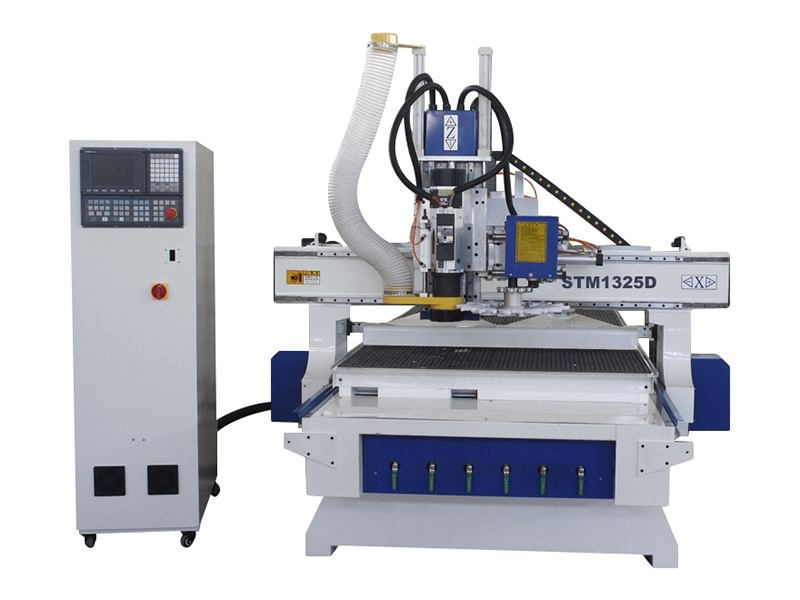 There are two types ATC CNC router, which includes linear ATC CNC router and Disc ATC CNC router. 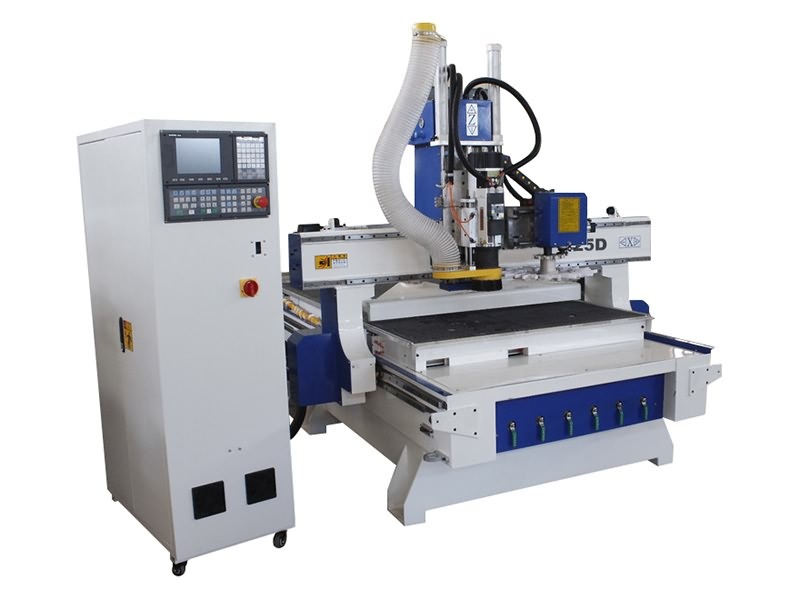 The best CNC router ATC adopts a rotary 4th axis for 3D cutting and carving. 1. Heavy duty machine body. 2. 9.0KW Italy HSD air cooling spindle. 3. Automatic Tool Changer spindle with tools magazine of 10 cutters. 5. 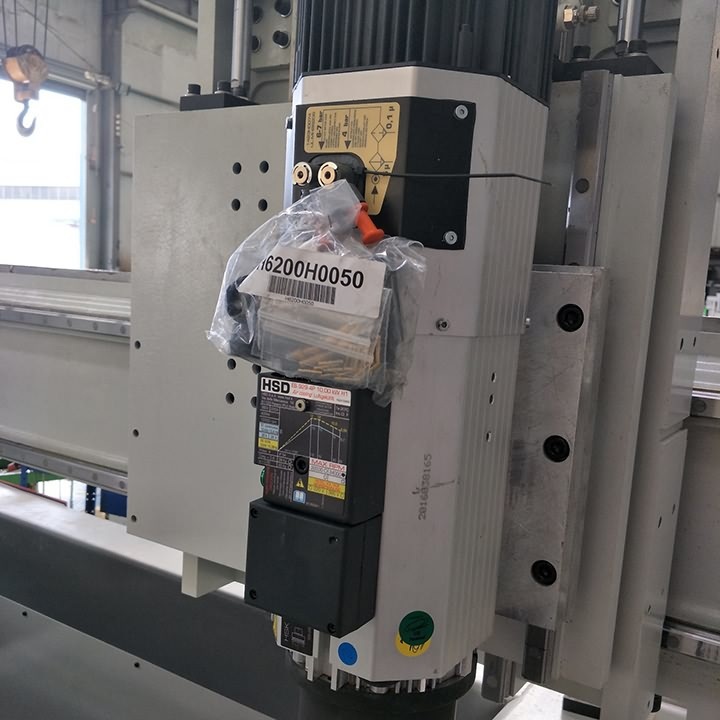 Japan Yaskawa 850W servo motor and drivers. 6. 11KW Delta inverter from Taiwan. 7. Taiwan HIWIN 30 square rails. 8. Japan Omron limited switch. 9. Strong suction Non-oil vacuum pump 5.5KW. 12. 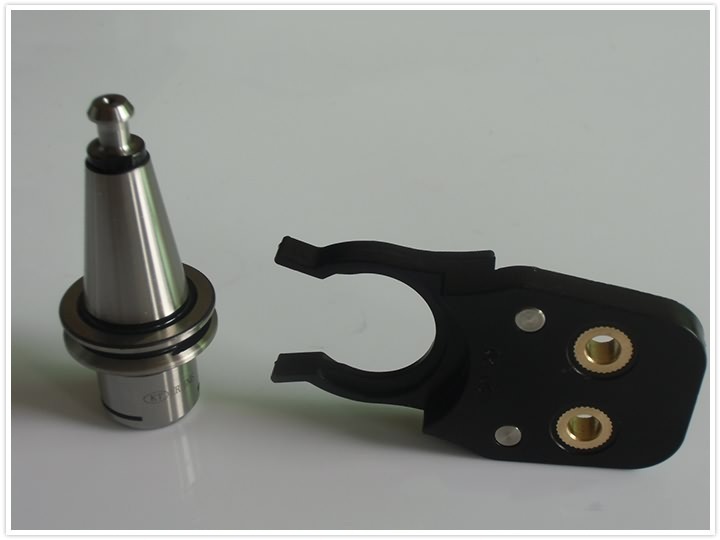 4th rotary axis for 3D carving and cutting. 1. Woodworking Industry: Stereo wave board processing, wooden door, cabinet making and other furniture production. 2. Advertising Industry: Label making, PVC plate, PCB board (drilling and engraving), double color boards, logo production, acrylic cutting, plastic suction for making advertising dedication, word cutting, sign making, crystal word, LED display screen, doorplate, nameplate, etc. 3. 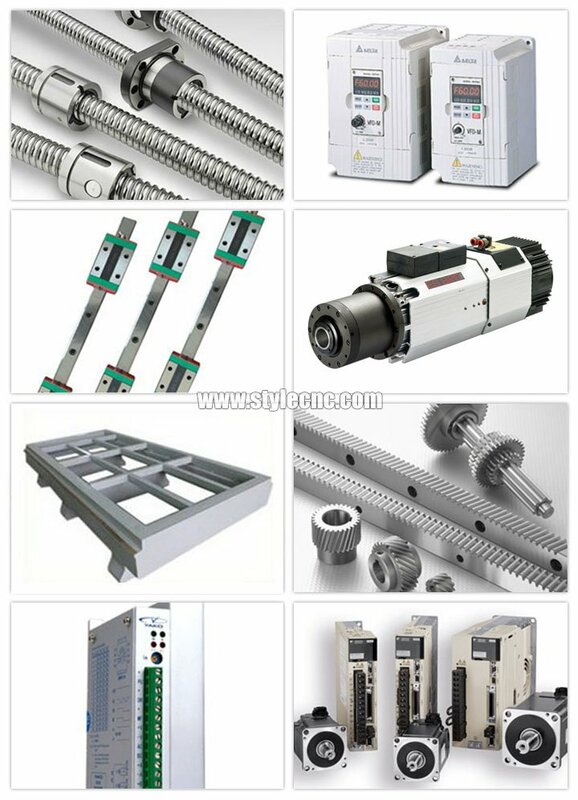 Mold Industry: Wood mold, foam mold and metal mold, etc. 1. 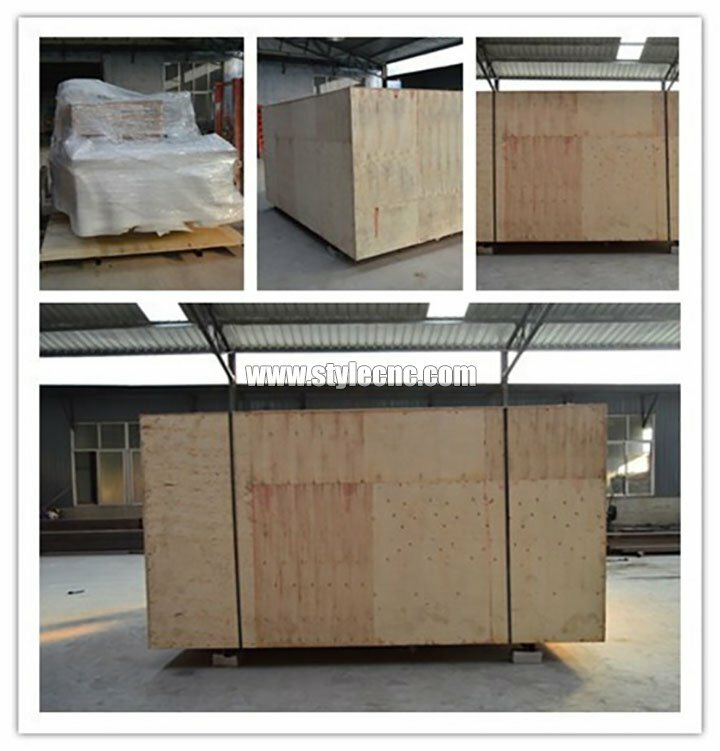 Standard plywood case, its compressive strength and bearing quality is better. 2. The board area is bit, the soil structure is good, it is better in leakproofness and waterproof. 3. When importing, the plywood case is with fumigation-free, the procedure is simple. 1. In the processing of production, our professional technical engineers inspect the processing to ensure the quality of products. 2. 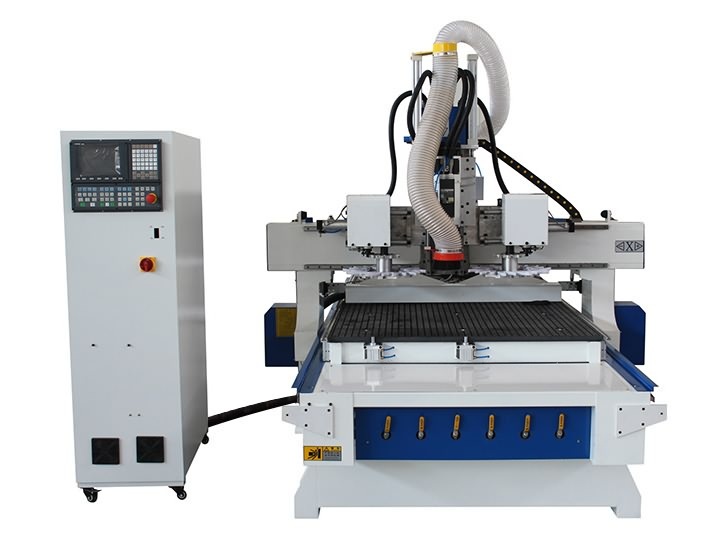 Every ATC CNC router machine must be tested before delivery for 8 hours, all of them are absolutely qualified. 4. Main parts (excluding the consumables) shall be changed free of charge if there is any problem during the warranty period. 5. Lifetime maintenance free of charge. 6. We will provide the consumable parts at an agency price when you need replacement. 1. What is your max working area? 2. What materials do you work on? 3. 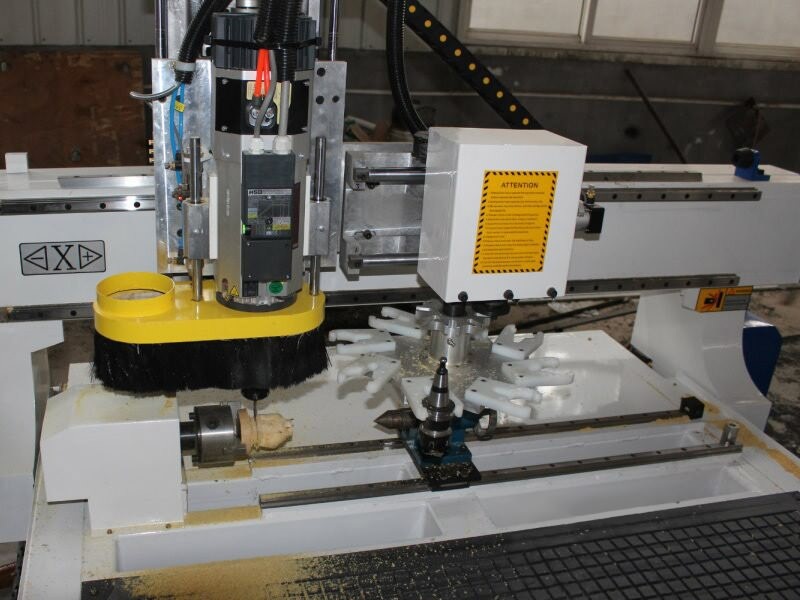 Do you mainly use the CNC router ATC for carving or cutting? If cutting, What is the Max cutting thickness? 4. You can also send your product samples to us. 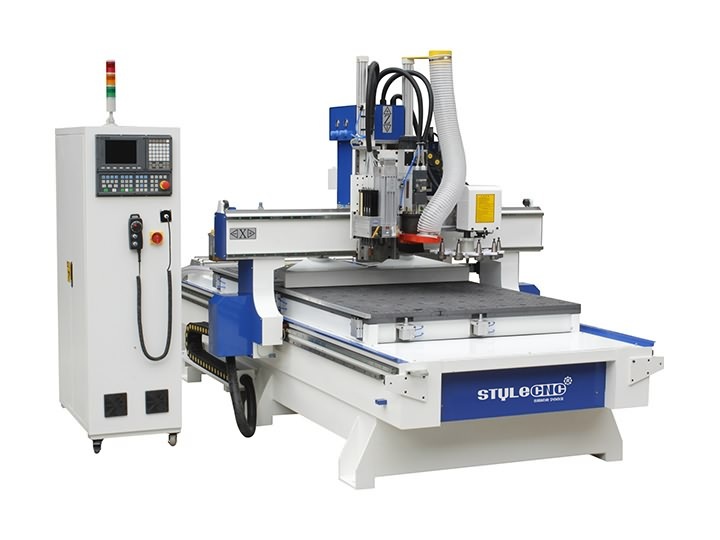 License: The text of "The Best ATC CNC Router with Automatic Tool Changer Spindle for sale" by STYLECNC is licensed under a Creative Commons Attribution 4.0 International License. 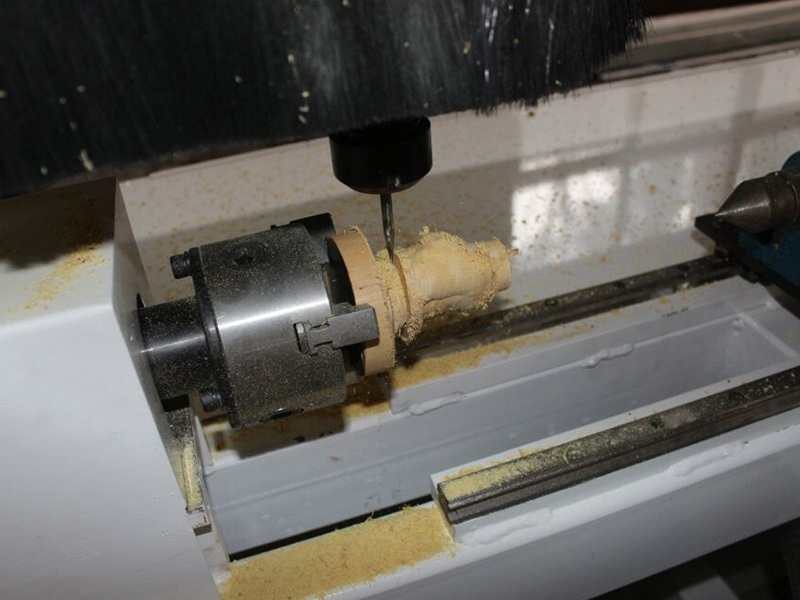 I really have to say, the CNC router with automatic tool changer is a great idea for my works, it worked well for cutting, carving, grooving in the past 3 months, it can complete a full door making process at one time, in addition, the rotary device can help me to do some 3d carving works.Reply from STYLECNC: Thanks for your approval to our ATC CNC router, we'll keep growing.